Forget it, Rolls-Royce. Go play in traffic, Bentley. Get over yourself, Mercedes-Benz. Anyone who knows anything about real vehicular elegance knows that the Impreza Casa Blanca is the only way to go. As we bask in the glow of the shiny new 2015 WRX STI, let us take a moment to reflect on this, which was almost certainly the greatest Subaru ever made. What's that? You've never heard of the Impreza Casa Blanca? That's probably because you're an unsophisticated poor. But as a cultured person, it's my duty — my burden, if you will — to educate you on why the Impreza Casa Blanca is the only luxury vehicle truly worth talking about. As Carscoops reported a while back, the Impreza Casa Blanca was a special edition of the first-generation Impreza made from 1999 to 2000 back when Japanese customers were going nuts for retro-looking vehicles. 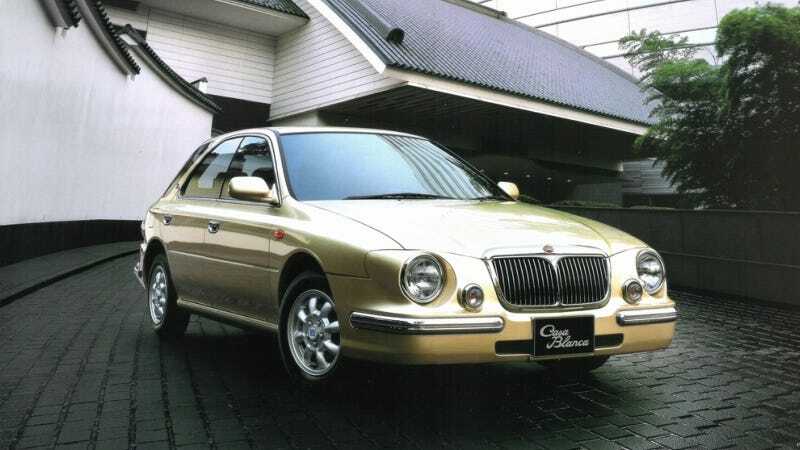 While you may be forgiven for thinking that the Casa Blanca was a special edition done up by Mitsuoka, Japan's primary arbiter of great taste in vehicles, it was in fact a product of the Subaru people themselves. Only 5,000 were ever made, and no, it did not come to the U.S. We're far too uncouth for such a sophisticated machine. Just look at those chrome accents! That British-inspired grille! Those jewel-like headlamps! Why, the Casa Blanca clearly took the luxury game to levels that remain unequaled even today, 15 years later. Can we hope for a return to the Casa Blanca bodystyle on the new Impreza? Not in this recession, pal. You philistines are welcome to keep dreaming about it, though.